Construction on the $83.7 million high school project began in the summer of 2013 with all space turned over to the school administration in the fall of 2016. 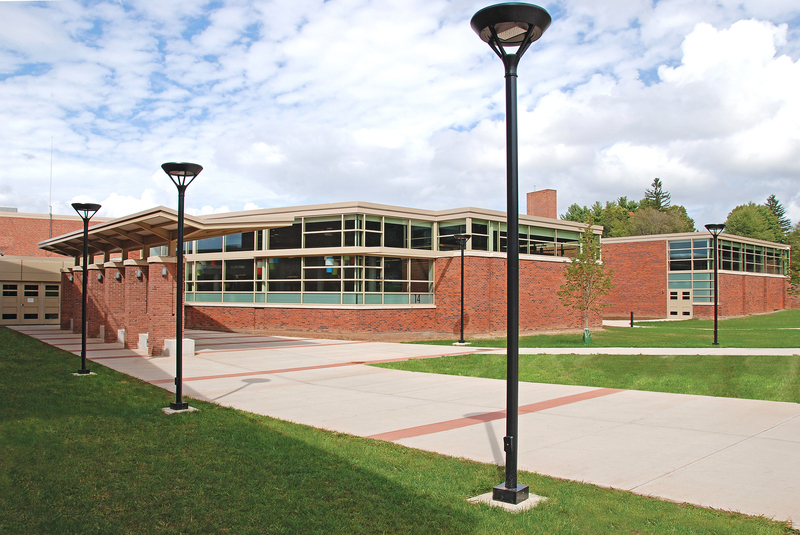 The project included a 250,000 square foot renovation within the existing facility to “as-new” condition while the building remained fully occupied by students and facility during construction. The project also included a 24,000 square foot expansion. The heart of the renovation included a complete overhaul of the auditorium with new mezzanine seating, additional classrooms and repurposed spaces for music, art and technology. Additions included a new gymnasium, new media center, band room and elevator. Upgraded features include an electronic music room and recording studio, a greenhouse and green roof, a photovoltaic solar panel system, technology in every classroom and significant energy conservation measures incorporated into the construction of the school. Site improvements were also made to expand parking, ease traffic flow and improve accessibility. The project team included construction manager O&G Industries of Torrington, Connecticut and project architect Quisenberry Arcari of Farmington, Connecticut.